The Winnovative Chart Control for .NET allows you add data visualization capabilities to your web applications. It is a reliable, easy to use, highly customizable and high performance charting control built with 100% managed code. It is compatible with .NET 2.0, .NET 3.5 and .NET 4.0 Frameworks and offers full design time support for Visual Studio 2010 and 2012. The current version offers 28 types of 2D and 3D charts including bars, lines, pies, doughnuts, cylinders, surfaces, curves, radars and others. It offers advanced features like 3D charts scaling and rotation, server postback events for chart cliks, tooltips, user defined axis scale range and axis tickmarks. The axis and legend box are fully customizable and the data sources can be .NET data sources like DataTable, DataView, arrays and collections. Using the live demo below you can quickly see the main capabilities of the Winnovative Chart Control for Asp.NET. The full C# source code of the sample is available in the samples folder from downloaded archive. 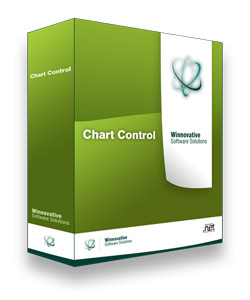 The chart control can be used as a standalone product or as part of the Winnovative Reporting Toolkit which contains besides the web chart control a powerfull HTML to PDF Converter for .NET. Using the reporting toolkit you can instantly create PDF reports containing charts and any other ASP.NET controls directly from a web page. The Winnovative.WebChart.dll assembly contains both the ASP.NET Server Control and the Windows Forms Control for .NET. Line (simple, series, 3D series, stacked). Surfaces (simple. series, stacked, full-stacked). Radar Lines (simple, series, stacked). Radar Surfaces (simple, series, stacked).